You can take your pick from two main options. Add your jewellery to your existing contents insurance policy, or go for a separate jewellery insurance policy. If you opt for a separate policy the vast majority of contents insurers would still expect you to disclose the jewellery under that policy for acceptability consideration. Whichever one you choose, you need to make sure your cover is adequate, so checking the policy wording is a must – policies can vary significantly between insurers. Your prized pieces might be irreplaceable, but having them insured and receiving financial compensation for loss or damage if the worst happens can help to lessen the blow. Most policies will cover you for between £40,000 and £50,000 worth of belongings, from your clothes and furniture, to your electrical items and patio set. Jewellery is included, but you need to make sure your belongings don’t go over any single or total valuables inner limit of your policy, and that the remainder of the contents sum insured is adequate to cover your other items as new. If you do not do this, and you come to make a claim in the future, you might not have enough to cover replacing or repairing your damaged or stolen items or you may find your items uninsured. Most insurers have a single item limit clause in their contents insurance policies of around £1,500, which means they won’t pay out more than this on any single item. If you have an item of jewellery that exceeds your insurer’s limit, you can usually pay for additional cover to specify the item, so you’d be given its full worth if you needed to make a claim. If you prefer to get specific jewellery insurance, there are several insurers who specialise in insurance for engagement rings, wedding rings and watches. Often there’s no single item limit, but all your jewellery combined can’t exceed a set amount. If you already have contents insurance, make sure you wouldn’t be paying out twice to protect the same items, and get a quote for the cost of adding jewellery to this policy first, as it may work out cheaper. Both contents insurance and jewellery insurance can give you cover in the home and outside of the home, and accidental damage cover can be included – though they may come as optional extras. If you’re going on holiday abroad, it’s always best to check if there are any conditions when it comes to the items you take with you. For instance, some insurers will only cover items abroad if you wear them at all times or keep them in a locked safe. If you’re not sure how much your items are worth, it’s best to get them valued, so you can be confident you’re not underestimating their value. You should do this by visiting a National Association of Goldsmiths accredited jeweller every two years, and keep your valuation documents in a safe place for future reference. Some insurers do require an up-to-date valuation for higher value specified items, so worth checking with your own company if this is necessary and when. If you don’t have contents insurance currently and your jewellery isn’t insured, it’s essential you get this sorted as the worst can happen at any time. You can’t predict if and when your home will suffer a burglary, fire or flood, so don’t delay. Shop around for quotes today, and find a policy that covers everything you need it to. You don’t want to advertise what you have to opportunist burglars, so keep your jewellery in a safe or under lock and key at all times. It’s a good idea to take photos of all your pieces of jewellery, in case they’re stolen in the future, as you’ll be able to share the images with the police and your insurer. If you have receipts, this can be given to your insurer as evidence of the pieces’ worth, which should make claiming their full value much easier. 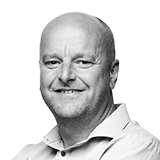 Meet Julian– one of our specialist consultants. It’s his job to inform and educate all our customers about the insurance topics that matter to you.